“Democratization” has long been a buzzword among technologists and a certain type of business guru. 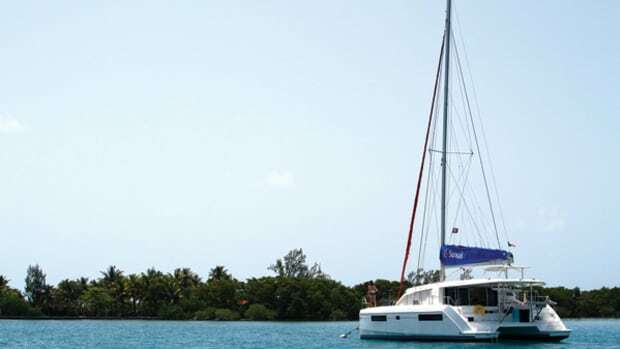 But the phenomenon can also be said to be alive and well within the sailing world, especially in the area of cutting-edge inshore catamaran racing. Indeed, in many ways it has been the proletariat, so to speak, that has led the way, with those writing the super-big checks following in their collective wakes. Nowhere was this more evident than in the last America’s Cup, where Larry Ellison, Sir Russell Coutts and company actually did all they could to prevent their AC72 cat from taking flight, only to have a bunch of Kiwis take to the air despite their best (and truly inexplicable) efforts. That said, the one thing that has remained the purview of the America’s Cup has been big-time, high-profile racing of the kind that even the man on the street has heard about. 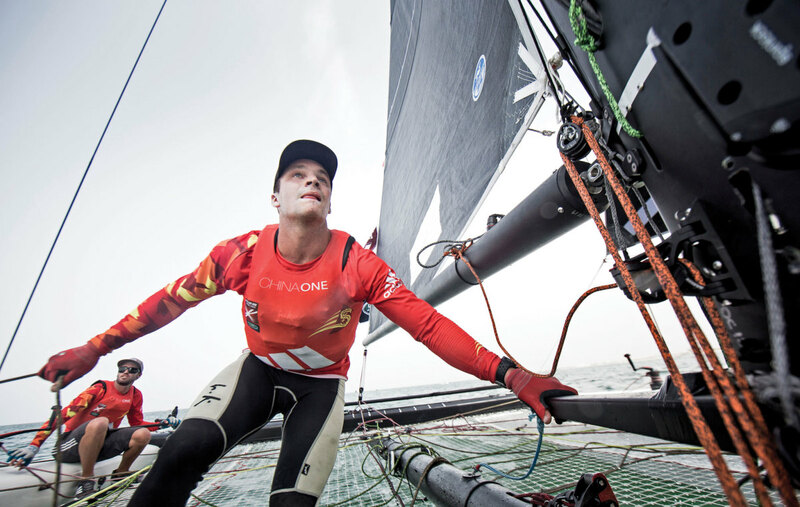 Sailors in the know may stand in awe of, say, a world-champion in the Star or Laser classes. But to the rest of the world, you might as well be talking about your local high school lacrosse team—until now. Specifically, in recent years, a number of high-profile professional circuits have taken their respective shows on the road, in the process also pioneering the concept of “stadium” style racing, whereby thousands of fans can easily catch the action from dry land.  In contrast to the now fully globalized America’s Cup, you can even find some hometown heroes out there who speak English with a genuine American accent. Heck, some of them (gasp!) are even women. Better still, so “insidious” has this democratization process become that it may not be too far off when mere mortals like the rest of us can take part as well. Let’s not kid ourselves, given the nature of the America’s Cup, the chances of pretty much anybody reading this article getting onboard a boat are essentially nil. And as for actually driving or touching a line, forget about it. 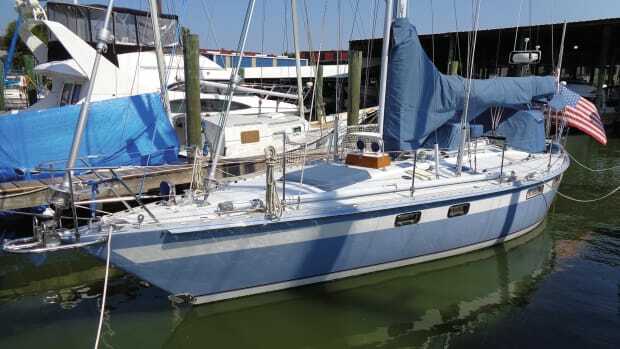 However, the state of at least some of the series multihull racing out there is such that it is conceivable for amateurs (albeit amateurs with a good deal of money) to get into the mix. 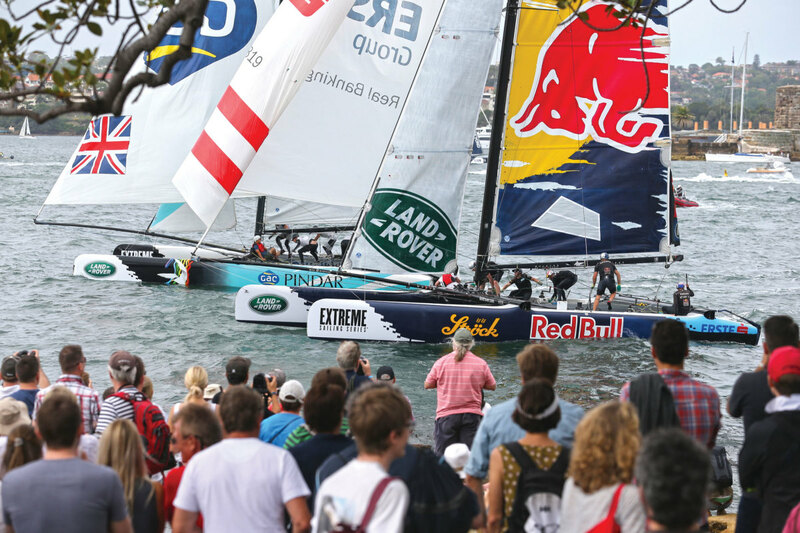 First and foremost among these competitors to the America’s Cup has been the Extreme Sailing Series, now celebrating its 10th year. Indeed, in many ways this has been a classic case of the tail wagging the dog, with the David in this matchup pioneering the concept of stadium racing while Goliath was still racing IACC monohulls off Valencia Spain (not to mention battling it out in the courts in anticipation of the BMW Oracle/Alinghi Deed of Gift freak show in 2010). 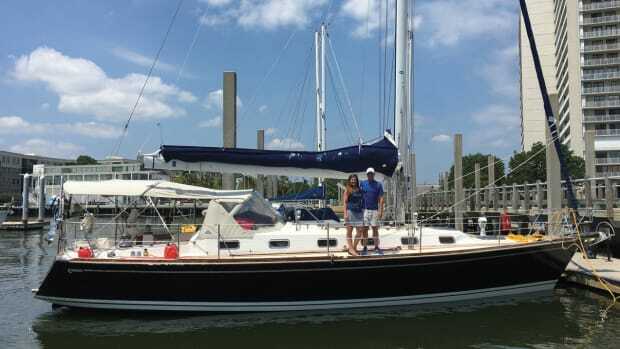 Over the years, the series has set up shop everywhere from Cowes, England, to Boston, Massachusetts; Kiel, Germany; Istanbul; Qingdoa; and St. Petersburg, Russia. And everywhere it goes it has wowed race fans, with the action taking place mere spitting distance away. Play-by-play commentators, race villages, on-line video—pretty much everything associated with the modern America’s Cup was mastered by these sailors first. It’s no coincidence that all three challengers for the 34th America’s Cup regatta in San Francisco—Emirates Team New Zealand, Artemis Racing and Luna Rossa—used the Extreme Sailing Series to help work up their crews in anticipation to sailing both the AC45 World Series and in the final Cup regatta itself. 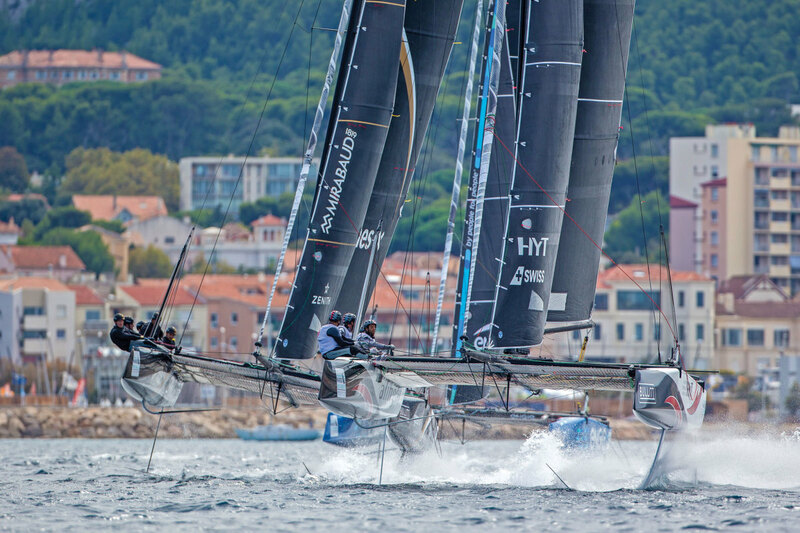 Never one to rest on its laurels, the Extreme Sailing Series also recently scrapped those same all-carbon Extreme 40 catamarans that debuted along with the series itself and moved to full-foiling GC32s, making the circuit faster and more dramatic than ever—to the point where you could now legitimately argue that the only things really separating it from the America’s Cup are wing sails and, of course, litigation. According to Canfield, in addition to simply mastering the art of boathandling in full-foiling mode, the boats and series require that you also figure out when it is best to do so, since simply taking to the air isn’t always the answer. 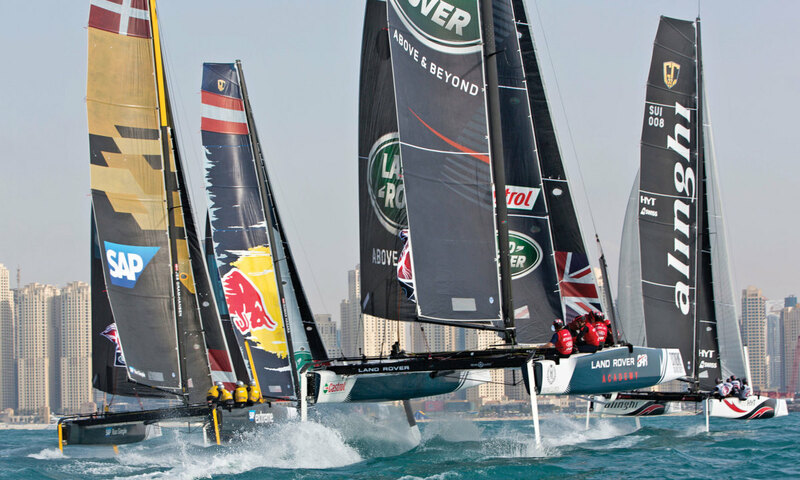 Unfortunately, if there’s one thing wrong with the Extreme Sailing Series, it’s that none of its eight regattas scheduled for 2016 will be taking place in North America. However, that doesn’t mean that there’s no reason for U.S. race fans not to get involved. First and foremost, there’s the fact that U.S. sailors truly have some legitimate skin in the game, so to speak, in the form of Canfield’s US One effort and Larson—a California native and three-time All-American with the College of Charleston. Then there’s the way the series is staged so that it’s as easy to follow online as any other top-flight sailing event these days. Still not satisfied? No problem. 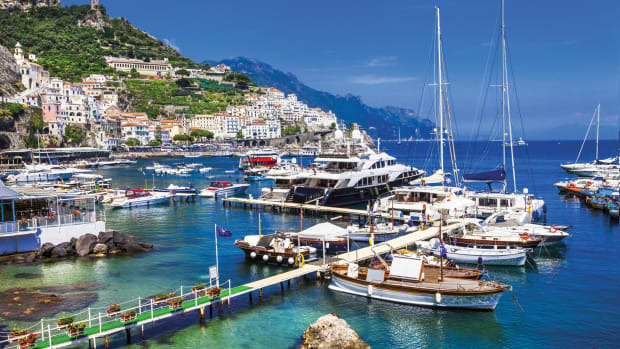 There’s also another, entirely separate GC32 circuit you can follow, one that paid a visit to Key West for race week in January and includes three stops this summer in Lake Garda, Italy, for the annual Foiling Week; Palma de Mallorca, Spain; and Marseille, France. 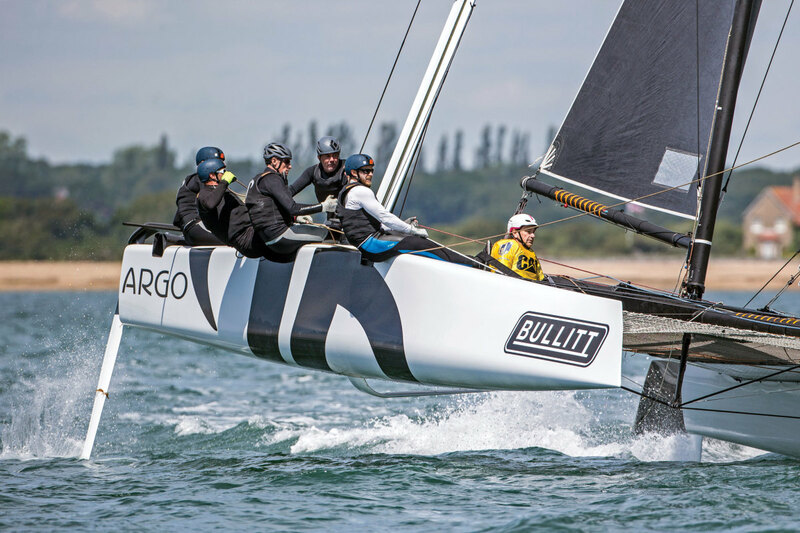 Better still, if you’ve got the cash and think you and your team has got the chops, this league is open to outsiders as well—like 38-year-old New York businessman Jason Carrol recently did along his crew from Team Argo, which cut its teeth in the Melges 32 class back in 2007. Another option for those who like to be a part of the action, as opposed to just watching it, is the M32—yet another all-carbon catamaran, which was designed in 2011 and is beginning to make its presence felt in a big way on this side of the Atlantic as part of the World Match Racing Tour (which was acquired by Swedish M32 builder Aston Harold AB in 2015) and yet another fleet racing series of its own, which most recently paid a visit to Bermuda. 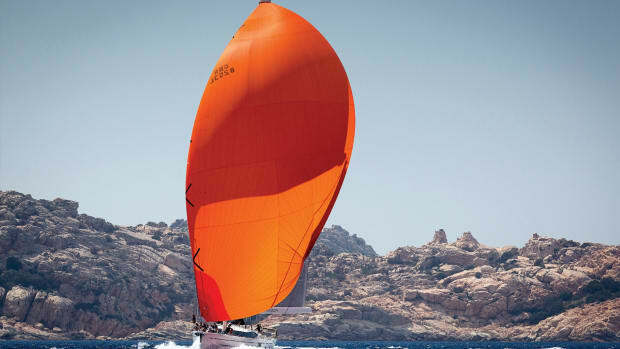 Although the boat is not capable of full-foiling performance, per se, its dramatically arced daggerboards provide sufficient lift that the hulls are essentially just skimming over the surface, making them that much easier to handle while remaining plenty fast. 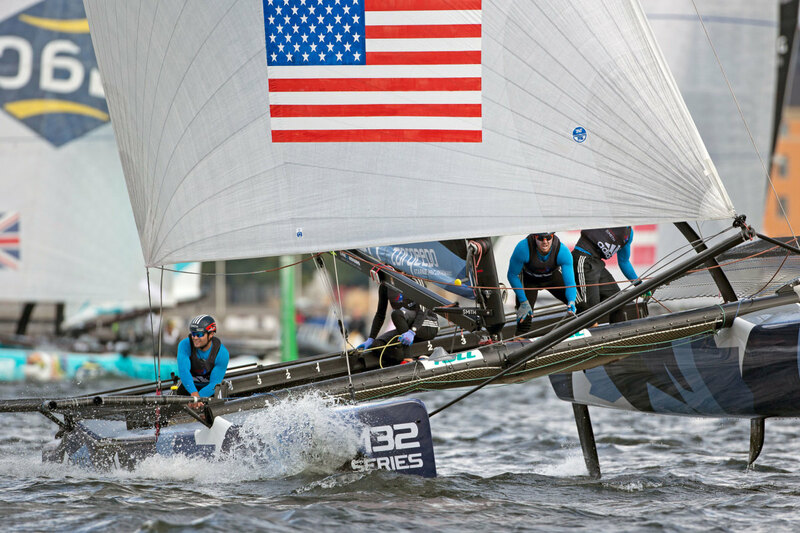 To add to the fun, the M32 is equipped with a pair of hinged outriggers, allowing you to get your crew weight well outboard, thereby translating as much of the power in the rig into boatspeed as possible—without the brutal learning curve of its full-foiling cousins—creating a “pathway for the ultimate fast and exhilarating multihull racing.” A simple main-driven rig (no working jib, and only a Code 0 on a furler for downwind work) completes the equation. 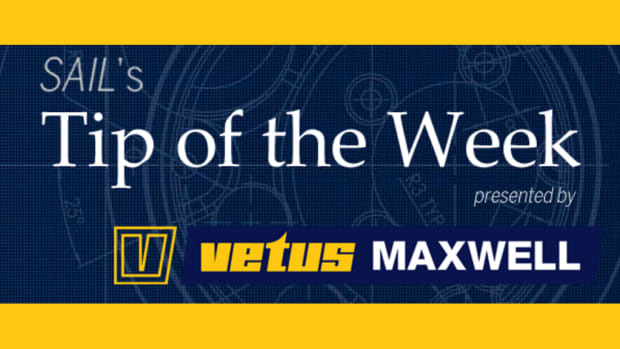 This past March, two-time Rolex U.S. Yachtswoman of the Year Sally Barkow won the M32 regatta in Bermuda as the skipper for Team Magenta, besting six-time World Match Racing Tour (WMRT) champion Ian Williams in the process. Chicago sailor Don Wilson’s Team Convexity came in third. The boats will also be front and center here in the United States when the World Match Racing Tour pays a visit to Newport in late May, with 10 teams—including Barkow’s Magenta, Canfield’s US One, and Williams’s GAC Pindar—all competing for a total cash purse of $200,000, followed by a final regatta in Marstrand, Sweden. 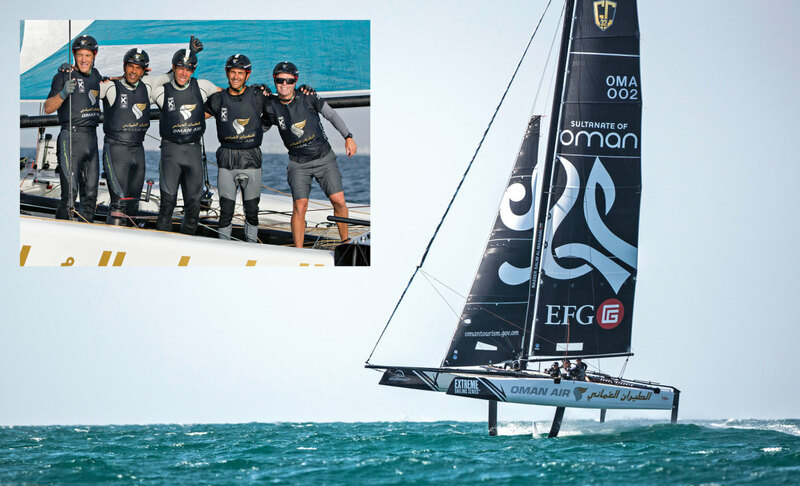 Bottom line: if the boat’s debut at the M32s WMRT’s debut in Fremantle, Australia, this past March—where the fleet was buffeted by high winds that made for a heck of a show, to say the least—is any indication, the Newport event is not to be missed. 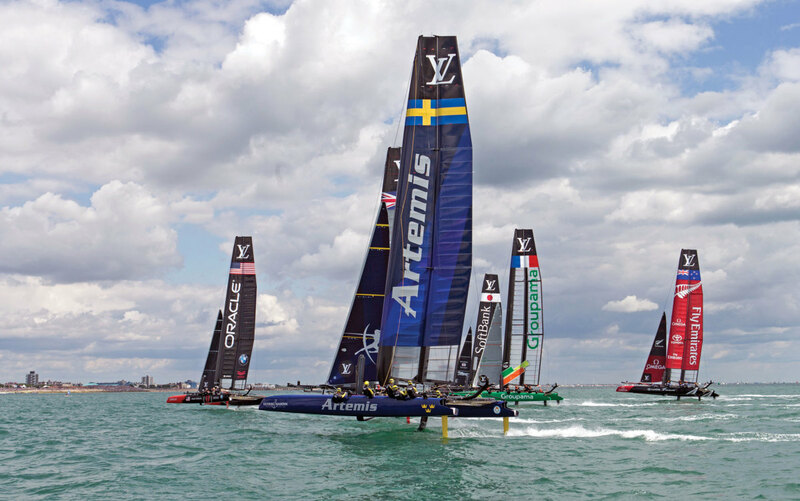 Finally, let’s not forget that other series of multihull regattas: The America’s Cup World Series. Whatever you (or any number of competitors) may think of Larry E and Sir Russell (and the fact that they took their toys away from San Francisco to play in the sandbox that is Bermuda), there’s no getting around the simple reality that the AC45s used for the series make for a heck of a spectacle—so much so that you can’t wondering just how much they’re going to steal the thunder from the AC62s slated for use in the finals. 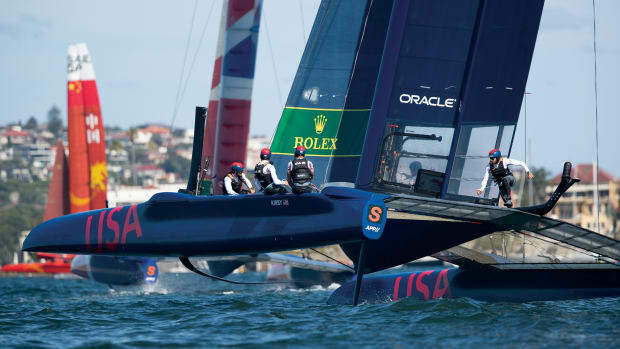 The juggernaut that is the America’s Cup Event Authority has also very much perfected the art of both staging these kinds of stadium-style events and making them accessible to fans online. And the fact that they’ve got six strong teams taking part will give its broadcasters that much more to work with. The first North American stop for the AC World Series road show was New York City earlier this same month. Next up is Chicago in June, where racing will take place off the city’s historic Navy Pier. If past is in any way prologue, this should well be another show well worth traveling for.